We are in love with our Sun Drop Top In White! 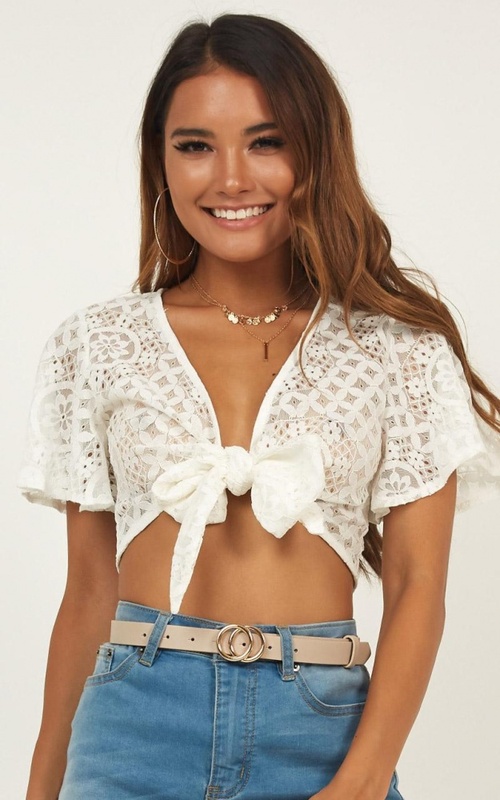 This tie front lace crop top is the perfect addition to your summer wardrobe! Style with a pair of heels and our Lost In Space Denim Skirt In Mid Wash for the perfect weekend look!